The issue of diversity, inclusion and gender equality in the workplace is a hot topic. How exactly are organisations supporting and driving the experience for women in their workforce? How do you ensure that all the women working in your business have the potential to be the best version of themselves? And what opportunities can you create for your employees to build success together? We do know that put simply, happy, healthy, energised and empowered women don’t just function, they thrive, meaning they deliver both in business performance and personal achievements. But our lives are complex. Against our ever-changing and challenging back-drop, women in particular, are guilty of taking everything on, rarely considering or supporting themselves. Juggling the pressures of work and the strain of being all things to all people. And with diversity, comes uniqueness and complexity too. The formula for one woman to be her best self is often different to the next. Genuinely progressive companies recognise their cultures can support the individuality of the women in the organisation. The Women’s Inclusion Network (WIN) at Oath was created to enrich the culture of its company by supporting and developing a diverse workforce. 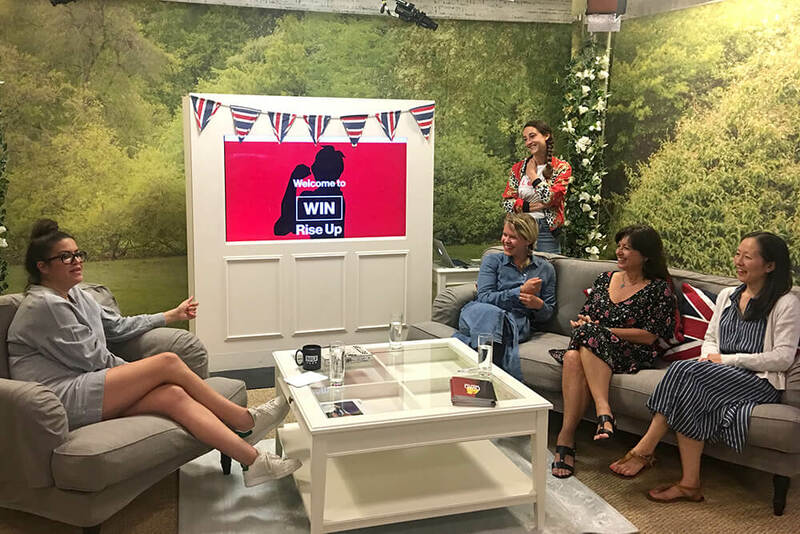 At PUSH we are so proud to have partnered with WIN to bring forward the ‘Rise Up’ initiative, a coaching programme exclusively for all 250 women in the company. The intention of the programme is to cover everything that could be important to a woman. The principles of PUSH are that we want to help support the people we work with, in an area that might be causing them stress and affecting performance. We are also incredibly lucky to have an amazing network of talented coaches to bring into this programme who specialise in niche areas of wellness. All women are offered two free coaching sessions with an expert of their choice, with coaches covering executive, personal development, nutrition, mindfulness and women’s health. Someone who has recently been promoted might have an impending sense of imposter syndrome and therefore would benefit from talking to an executive coach. Their colleague could be experiencing strains around specific money issues, so working out a solid savings plan with a financial coach would work better for them. We recognise a tailored approach offers women the tools they need to manage whatever comes their way, as well as giving them a well needed moment for themselves. We launched the programme with an inspirational panel discussion outlining how coaching can optimise all areas of women’s lives. In the audience, eyes lit up as the opportunity to make a fundamental change to their lives became evident. What could rising up mean to each of them? We are so incredibly excited to be partnered with such a forward-thinking organisation. This gesture of carving out time for every woman will, in turn, ripple out, creating a movement of positive change throughout the company. How can you lay the groundwork for a more diverse and inclusive workplace? We would love the opportunity to work with you to take action to support your incredible women. Get in touch.